Profound, deep personal change can be difficult to attempt. We are often mired in habits and thinking patterns that can be difficult to slough off. Many years ago I discovered a shortcut that continues to serve me well. TO change the inside, we must first make changes on the outside. Create new patterns in your daily routines. Establish new habits thus forcing the old ones out by sheer lack of time. Rather than a mindset of limiting what you do and stripping off the old, I like to create new rituals and give myself a mental "spa week" to establish new daily routines. The result? Those old worn out ways are a thing of the past that have been scrubbed out by better ways of living. Feeling as though I'd gone stale in a few areas I decided to look at my days differently. Rather than feel wighted down by my responsibilities and schedule, I saw it through fresh eyes. I began by noticing what wasn't working. My mornings. Many a great leader and successful person will agree "win the morning, win the day." So if my mornings needed a fresh approach I was going to make that happen. I kid you not, Super Elixir has changed my life and so has going grain-free. By stirring some of this powdered miracle into filtered water and starting my day with a glass of alkalizing goodness, my energy levels have soared. I do still enjoy a morning coffee, but this simple change is giving me far more energy, replenishing my nutrients and giving me that healthy glow. 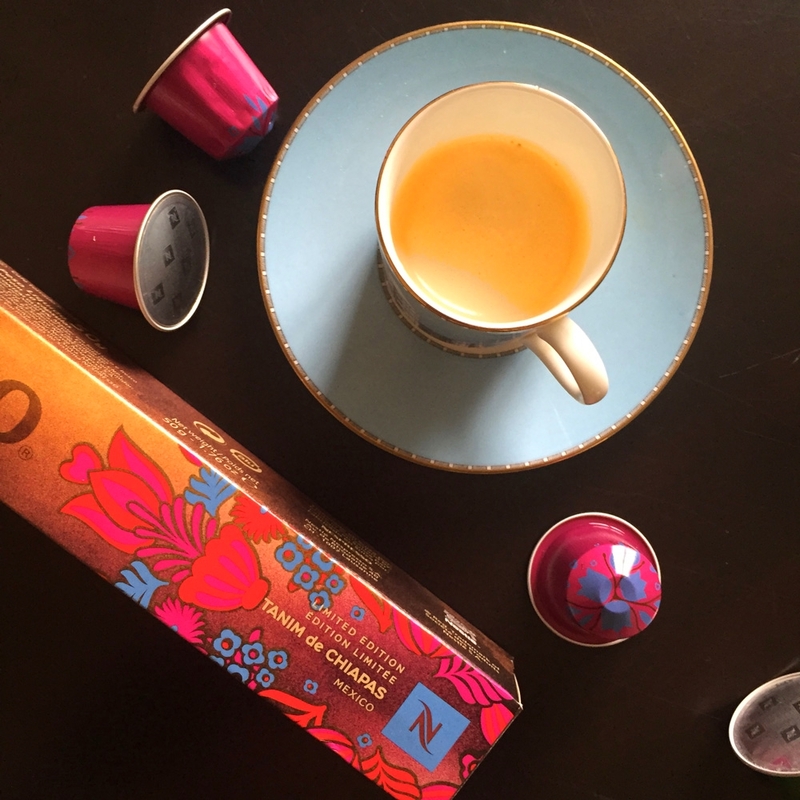 What are you sipping first thing in the morning? Have you considered the benefits of hot lemon water or powdered greens? Perhaps just sip a bottle of water upon waking. Hydrate. Switch up that behavioral routine of what you physically consume upon waking to see new internal changes. For quite some time I was continuing my yoga practice at home. honestly, it was getting extremely stale. Those three-legged dogs were dragging. Switching up my pattern and going to hot yoga at the studio every day has not only changed my body in a very short time (yay!) it has drastically reduced my stress levels. Amazing what can change when you set your mind free for 75 minutes a day outside of your normal location. I needed this in a major way. Again, by changing the outside, you can change the inside. What could you do in a new location that would help you? Could you move to the coffee shop for your freelance? Could you jog someplace new? Can you walk your dog at a different park? Could you drive to work via a new route? See new things. Feel new feelings. Think new thoughts. Change your surroundings to change what's happening inside. So not kidding on this one. Why not treat every day like a visit to a day spa? Mud mask before your day begins? I'm wearing one right now while I type. Tired feet? Apply a treatment before bed and bundle up in cozy socks. Wake up to renewed soles and a renewed soul. Face lacking that Gigi Hadid glow? An AHA is just what you need. Sleepwear is my latest secret weapon against lackluster skin. Sleeping beauty was on to something. SLEEP is the number one cure for many things. For a change in how I feel I like to drink generous amounts of filtered water all day, eat more fresh food and go to bed a bit earlier each night. By pretending I'm at a spa for a week I am naturally drawn to lighter fare (kale salads with grilled chicken & vinaigrette), inclined to drink more lemon water and more likely to enjoy blissful sleep. Change what you do, you'll alter how you'll feel. Lighten up on grains, indulge in fresh fruits and greens. Drink in clean, fresh water and tea. The best part? You'll wake up more gorgeous every day which will motivate you to keep the pattern going. Keeping in touch my my closest friends is a high priority. But this week I've been making that circle of communication larger by texting & reaching out to a wider circle of friends and family. If your social circle is a bit status quo or dwindling because of a too busy schedule, hit send on a few more texts this week. Stir up conversation and pick up where friendships left off. Use the holidays as an excuse if you must, but cast that net wider than normal. The rewards of this are new conversations, restored connections, and a more lively daily experience. Expect to see friendships renewed, bonds strengthened and personal thought patterns changed. By changing your social pattern you change your life. Tired of the negativity of new and your facebook feed? I cannot underestimate the power of the low-information diet. I was spending too much time flipping through meaningless articles at night, wasting precious time learning... nothing of value. Podcasts & audio books, however, are great ways to learn on-the-go. What do I listen to? Tim Ferriss is my favorite for deep diving interviews with unusual and thought provoking people. For longer format listening I'm turing to classics like Think and Grow Rich and my Behind the Wheel Italian lessons again. But if you need a full break from voices, consider changing the music you listen to for a week. Try a Hôtel Costes style channel on Spotify or Pandora. It will soothe you. Those trips to yoga become language lessons and during the day I'm taking in new, profound information. Use N.E.T. time (No. Extra. Time.) to change your life. Listen to books or podcasts during your commute, or shower, or while you get ready to expand your knowledge and get your brain reactivated. Or... take a break form all current events, all news and all weighty information for a week. Change within can be discovered by changing what we do. ADD IN amazing habits and you'll find those old layers of skin and bad behaviors disappear. It's all about moving TOWARDS what you want and forging new paths. By altering what you do each day you'll capture more value from your allotted 24 hours. Your days will feel longer, your nights more restoring, your daily experience more rich. Try this "life exfoliation" for a week and see how you feel. I promise you will thank me for the nudge! The wellness-minded person on your list is striving for excellence and balance in all areas of life. Glowing skin, a healthy body, restful sleep and radiant energy are just a few of the hallmarks of harmony between the physical and the spiritual. These unique finds for mind & body will delight the senses & awaken your recipient to the boundless possibilities the present moment has to offer. 1. A scoop a day for glowing skin, sustained natural energy, mental fitness and overall wellness. Super Elixir powdered green superfood supplement makes living the alkaline life a breeze. // 2. Create a relaxing daily ritual with the gentle flavors of Teavana's Serenity Tea featuring calming chamomile, rose hips and orange blossom petals. // 3. This cult classic is legendary for good reason. Fresh Brown Sugar Body Polish transforms your dull, dry body revealing glowing, silky skin (also here) // 4. REN Moroccan Rose Oil makes relieves stress & deeply hydrates skin // 5. Byredo Flowerbomb Rollerball: Revive energy anytime, anywhere with scent is inspired by the fragrant flower crowns adorned by the bride and groom at traditional Indian weddings // 6. Did someone say Gold Bodyism Yoga Mat? Yes they did. // 7. Enjoy that post-yoga glow without risking a breakout. CLEANSE wipes by Lauren Napier are infused with aloe & chamomile to hydrate & energize the skin effortlessly // 8. Like pilates for the face, NuSkin's microcurrent device is FDA-approved to tone & tighten facial muscles at home in just 5-minutes // 9. This $20 body brush is so good I've gifted it to friends time & time again. The Mio Skincare body brush is by far the best dry brush I've used // 10. Enhanced cognitive activity and reduced mental stress? Thank you, Moon Dust. I'll have some of that. If ever a designer lived and breathed her design confidence, it’s Denise McGaha. I’ve long been impressed with her bold interiors and personal style. And while I’ve spent a bit of time with her at various High Point or Dallas showrooms, October provided my first opportunity to see her give a demostration or speak at an event. The ever-popular Frontgate location near my home hosted an evening with Denise showing us how to tablescape like a boss and deck the halls with confidence this season. I can speak for all of us in attendance when I tell you it was well worth the time on a busy weeknight to hear her wise tidbits and decorating strategies. More importantly, she sparked in all of us a renewed sense of confidence and empowerment as we prepared our homes for guests - or even decorated merely for ourselves. Clearly, the Frontgate team felt the same. Denise now only transformed one table for the event - but four complete table vignettes plus the rear of the store featuring a massive hearth. Suffice it to say she was a hit! If you’ve ever been to one of these showrooms it’s a wonderland of the prettiest home furnishings & accessories you can imagine. So in the hands of a master designer, the gold place settings, beaded runners & oak tables took on a new life. As Denise toured us around the various scenes, she encouraged us to forget about fussy “rules” or stodgy guidelines for entertaining. Fresh eucalyptus stems in a water pitcher? Of course. Ornaments as place markers? Absolutely. A garden stool as a center piece? You bet. In addition to marvelous visual inspiration, Denise empowered every one of us to decorate with confidence and not worry about what was considered traditional. If you love it, it probably works. Her ONE rule (if you will): if and when you do use a tablecloth, please ensure it still covers the table once you add the leaf to your dining table. A “too short” tablecloth was her one “no” of the evening. Otherwise, she encouraged us to play, experiment and boldly innovate to create whimsical ways of decorating for entertaining. Her first table was all about Christmas. Reds, silver, a mix of place settings and - of course - greenery. Right off the bat, she encouraged us to mix reds (yes, even of they were two shades off!) and have fun with differing dishes as well. Stack them, mix them, enjoy them. 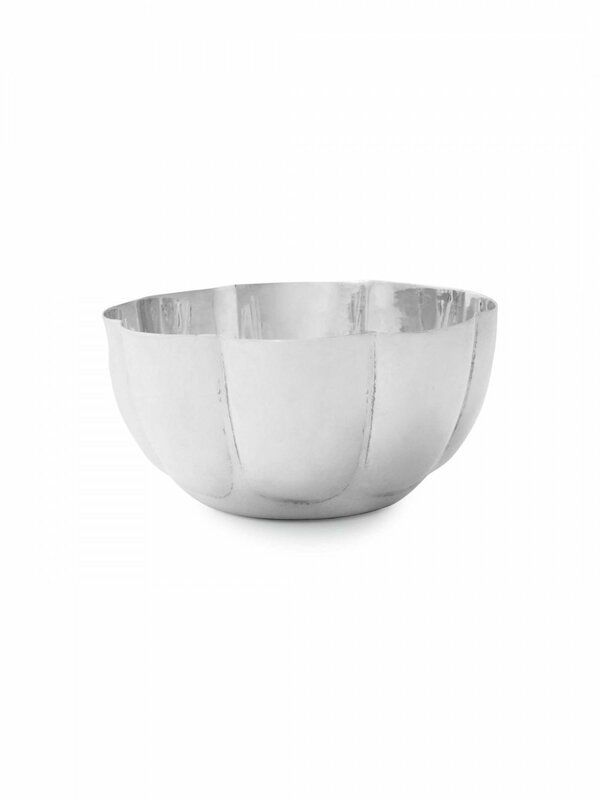 I love how she used sterling silver vessels for flowers, as sort of a cheeky nod to tradition. Her next two transformation areas were less about the holidays, and more about infusing your tables - and your home - with classic pieces utilized in unexpected ways. Tall patio lanterns served as centerpieces stacked on a garden stool seemed perfectly chic the way Denise styled them. The lush magnolia branches (a southern favorite!) added a rich, luxurious feel to the scene. On yet another table she used chinoiserie canisters and hurricane candleholders to set the stage for entertaining. My favorite, however, was her final tablescaping flourish: The GOLD & orange table! 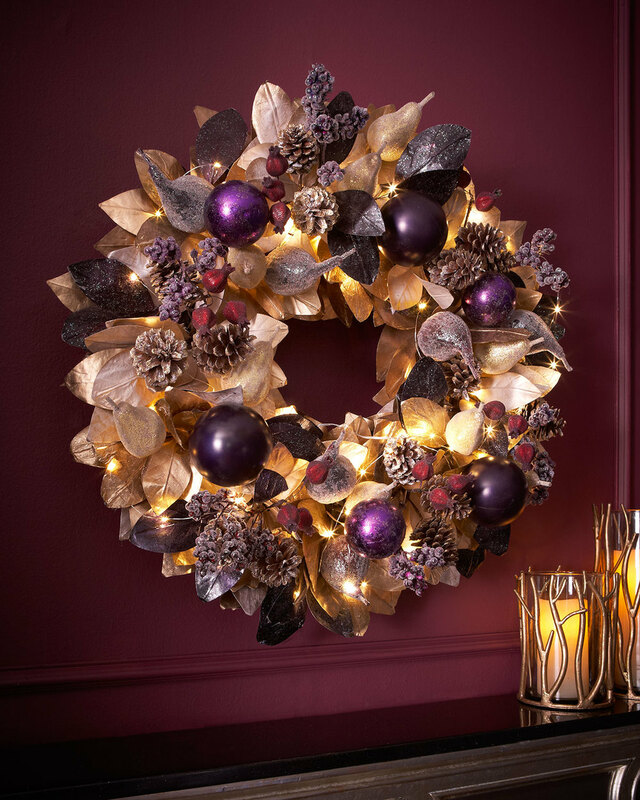 Who knew the humble “cutie” could be reimagined as a posh holiday table accent? From clear lucite obelisks (drool-worthy) to luxe gold beaded quatrefoil placemats, this scene had my name written all over it. I love how she played with height for maximum impact and set gold decorative trees on dessert pedestals for even more drama. This was a rulebreaker’s table if there ever was one. And I loved it. Look at those magnolia leaves cradling the spilled fruits? Honestly, girl. You’ve got game! If you’re not familiar with her interior design work, prepare to be amazed. Here are just a few photos from one of my favorite projects. When I tell you she is a master of design, I am not kidding. I could go on ad nauseum about the architectural & design details in these photos, but her portfolio speaks for itself. Her work has been widely celebrated in the press, with every publication from Traditional Home to Modern Luxury taking notice of her masterful approach to design & living. Visit denisemcgaha.com for more and be sure to follow her on Instagram for daily inspiration. Photography by the talented Stephen Karlisch. This week marked a small but subtle change in my life. I moved my yoga practice outside. The first evening I was serenaded by the moon up high in blue cloudy sky while it was still daylight. As I moved through my poses I'd see it and smile. The next morning it was quite possibly the most perfect outdoor morning ever. Picture perfect blue skies, puffy white clouds and perfect temps: Not too coo, not too sunny. Although I find yoga to be excellent for clearing my head, I realized I need more greenery outside. Let's just say I'm all about improving my "yoga studio" this year to accommodate my new location for my vinyasa flow. Dallas, you see, has but three seasons: sleet, perfection and summer. Right now we're in that weird moment of perfection that seems to last forever and at the same time only half a moment. Spring and fall are fabulous here but never last quite as long as you'd like them to. Our sole goal as locals is to dine on every patio, walk every path and shop every outdoor plaza during these fleeting moments of outdoor bliss. Coming up this weekend: a review of Charlotte Moss Garden Inspirations. Expect to see much more on the topic of beautifying your outdoor spaces. Trust me on this: it's worth it. Health & wellness. Where to begin? It seems the cleaner and more purely I strive to live and eat, the further I realize I am from the goal. Not from my own doing, but from the challenge of fully trusting where your food is coming from and what nasty substances are entering your body. From known chemicals in my sunblock to questions about pesticides, nutrients and GMOs, it feels like an uphill battle many days, doesn't it? As a fan of the Super Elixir (note: this is NOT sponsored, I order mine from Net-a-Porter & love the free shipping and pretty black box! ), I receive their periodic emails. LOVED this simple four week body reboot to inch both mind & body closer to "clean" and summer-ready. Whether you're concerned about fitting into that bikini or simply want the sparkle back in your eyes and the spring in your step, this simple process will help you strip away the junk you've been consuming and move closer to radiant health. Always the goal, right? + add cayenne pepper to at least one meal a day. It will boost metabolism and create a thermogenic effect, which helps burn calories. + increase intake of green vegetables. Fairly simple, right? Eat fresh, eat right. Nourish your way to clear skin, better sleep and a healthier body. I did want to share with you this list I discovered that reveals the fruits & veggies that contained the most pesticides of any on the market. Yet another reason to shop your local farmer's market or select produce that is organic & pesticide free. The "dirty dozen" below are foods that we eat with the skin on, thus increasing our ingestion of those icky substances. SO please, shop wisely from the start and clean that produce before consuming. If it's your first time, invest in the refill pouch version of the greens (a less costly way to give it a go with heavy duty resealable top) and the travel packs of the protein. This is how I dipped my toes in the brand. I'm not a convert and would not want to go a day without my greens! Let's get healthier together! Also, Google for nearby farmer's markets happening. It's a great way to save on your weekly grocery trips and have a little fun in the process. Make it a part of your weekend ritual and don't be shy about trying out new foods. You just may discover a favorite! How about a giveaway, loves? One of my commitments to self is to be more alkaline. What does this mean? More greens, more truly natural and organic food, more water, more fresh vegetable, more whole foods, more plant-based living. This means establishing a baseline of nutrition by staring my day with a dose of The Super Elixir. I've used it fairly consistently for about two years but have really stepped up my loyalty to it now. Prior to this marvelous find I juiced. Juicing was exhilarating at first (that glow!) but seemed wasteful (and messy) and nutritionally incomplete. I scoured the web to find a powdered blend of superfoods and... lo and behold the miracle of powdered greens existed. I've tried several brands and sources for this nutritional fix and I can say without question this is my favorite. Elle Macpherson's Super Elixir offers a very diverse array of star ingredients and delivers a powerful antioxidant punch in a simple spoonful of green powder. I mix it with a very small shot of filtered water to start my day in lieu of coffee. It's efficient, incredibly tasty and WORKS. My skin is radiant, I feel great. My blood sugar is completely stabilized and my body's overall health thanks me daily. It's difficult to explain 'feeling great" unless you get on a program or develop a routine that does this for you. In my life, a daily vinyasa yoga practice, a serving (or two) of Super Elixir, whole food eating and healthy living are working wonders for me. Yet when I skipped this simple green powdered step for a month or two my energy suffered, I looked lackluster and something was just "off" about my overall health. My hair even felt different. I'm not saying this is a magic bullet. Obviously I live a clean lifestyle too, but I can tell you the absence of this was felt. Now that I'm back on it, I'm truly back with a fierce loyalty. Thus... my desire to help you achieve the same feeling of wellness. I'd love to invite you to enter my giveaway below. I'll send you a 30 day supply of what I feel is a marvelous treat for your health. Yes. It's just that good. Simply pop your name & email into the short pink form below. Enter before midnight Sunday night (giveaway entry period ends at February 5, 2017 11:59 PM CST). Then... try it. If you love it, you may want to enter the Super Elixir Challenge on Instagram and you could win a YEAR'S WORTH of this marvelous green powerhouse of wellness. Good luck & great health! I'll admit, Bobbi Brown has been there all along but I never stopped long enough at the counter to move beyond her dreamy shimmer bricks & eye shadows to discover her decadent skin care treatments. Well, now I know how much my skin needed them. THIS is the source of skin quenching goodness I am craving this winter. I began with the Soothing Cleansing Milk and Hydrating Face Cream and have quickly begun to branch out into the brand's "extra" line which serves up (you guessed it) EXTRA hydration for winter skin. As you can see, it's a love affair with this antioxidant-rich line, and I have been gushing to girlfriends about this for a few weeks now. Pair this line with my Clarisonic and the super soft "luxe contour" brush head and my skin is as soft as silk. If you've not seen the new head I'm referring to, it has longer softer bristles for getting smaller areas of face (think: around nose, near eyes) for a truly gentle yet deep clean for hard-to-reach areas. I have been overjoyed by the results in such a short period of time. You know me. I love my big sunnies! The Texas sun never rests, so oversized shades are a must year round. I'm vibing on these large but lightweight frames from Chloe to add sun-shielding style to my face. Remember, sun may do the damage, but squinting tells the crinkles where to live. Wear the big sunglasses & stop squinting. Confession, the idea of going wallet-free never occurred to me. A very close friend, however, shared her obsession for cardholders as well as her reasoning. And frankly, it makes quite a bit of sense. Most of my cards have been replaced by apps on my iPhone and what few cards I do carry (license & a credit card or two) can easily be tucked in a nifty holder. I love this one that safely clips to the interior of your bags so it won't ever be lost. Also... it matches my coveted dream wallet and could be tucked inside for easy removal when showing identification or paying for items. Thus, reducing wear & tear on the wallet itself. You know by now I am obsessed with the Super Elixir. It has replaced my cumbersome juicing habit and saves me considerable time, money and effort. More so, it keeps the healthy of my body in check, my skin radiant and my eyes sparkly. I'm expecting this healthy lifestyle habit to kick up this year as it slowly nudges out my coffee habit (did I just type that???). Long live alkaline living, and the glow-inducing properties of a greener life. Ohhhh, hot cocoa. Don't you just love it? It's the only time marshmallows actually taste appropriate to me. I love my cocoa dark & rich and most certainly made with whole organic milk. Trust: this is some of the best cocoa you'll ever enjoy this side of the Alps. The method? Brace yourself for my under-a-minute recipe. Honestly, the real secret here is the high quality cocoa flakes and the milk frother. I personally love my Nespresso Aeroccino but there are other frothers on the market making it just as easy (see the rumored-to-be-awesome Breville above). Fill the frother to the recommended line with milk, turn it on & let it heat the milk. It takes less than a minute and creates a rich, amazing foamy drink you will LOVE. Just as the frother is finishing foing what it does best (the milk will swell and the mixing will appear to slow down), toss in a tablespoon of Williams-Sonoma Hot Cocoa Mix (my tip: choose CLASSIC formula). Let it mix just long enough for the flakes to melt. The rest is easy.... 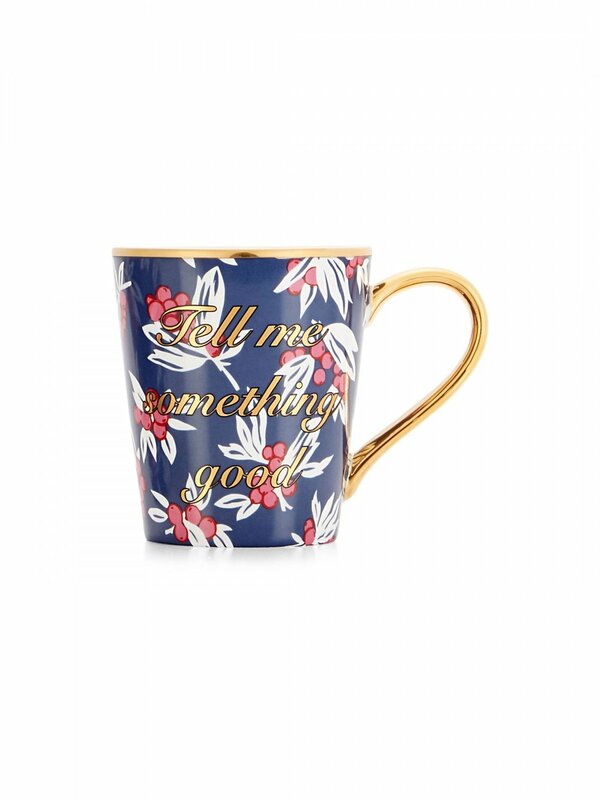 Simply pour into a pretty mug of your choice. Garnish with a pinch of cocoa flakes for extra rich topping. Repeat the process for as many mugs as you have guests. Place these rich, chocolatey creations on a tray, pair with biscotti (a personal weakness) & serve with a smile! Bonus points: If you are of the Eddie Ross, Danielle Rollins variety and never met a creative task you didn't want to take to a new fabulous level... look no further than these adorable gingerbread house mug toppers. Yes, this festive creation is edible and will be the center of much pinterest-worthy love. These are so, so cute. Be forewarned: these baked creations are sold individually. For a more efficient (read: less pricey) option, consider baking up some gingerbread cookies instead. If you're throwing a holiday fete and want to go the extra mile to make your guests feel festive, don your best reindeer ear headband, put on your sparkly holiday sweater & bust these out on your glamorous mug of hot cocoa. Instant Polaroid moment. It's no secret I live for my daily dose of the Super Elixir powder. I LOVE it and its alkalizing effects upon my body. 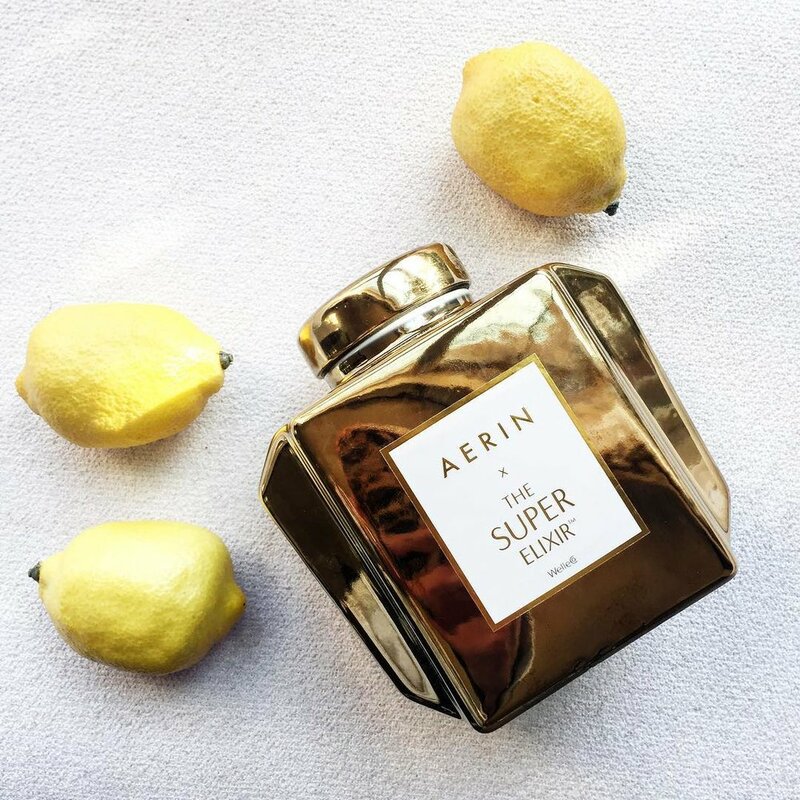 Did you know that Elle MacPherson's brand has now teamed up with none other than Aerin Lauder to produce a double-dose of the much celebrated Super Elixir in a GOLD caddy? It's true. Which means I've gone to gift recipient heaven. Move this to the very top of my list, please. Quick note: it's limited edition, so don't wait to grab your gleaming gold caddy of nutritional wellness. Perhaps your climate is different, but here in Dallas it went from hot (as in bright sun & 95) to cool (70's and overcast) in a heartbeat. Autumn has always been one of my favorite seasons for many reasons. One of which is the dramatic impact the season has on daily life. 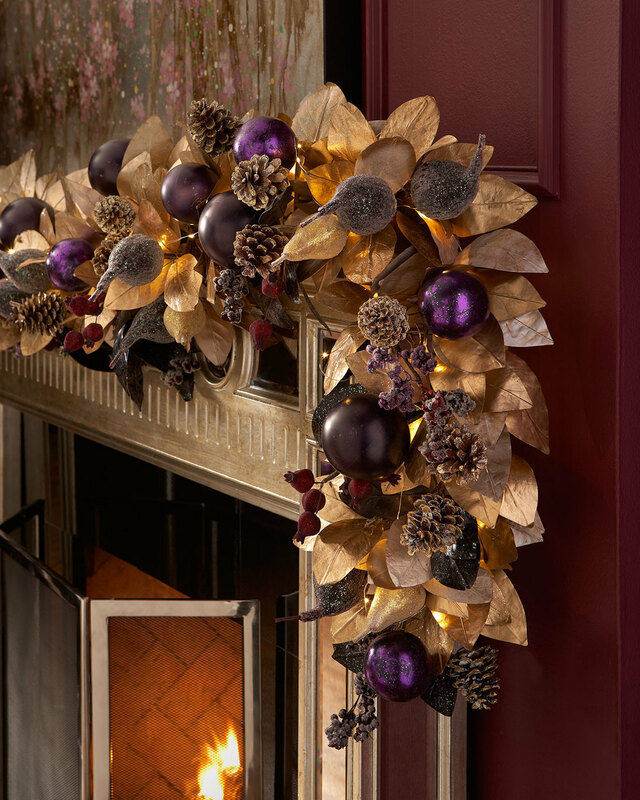 Layer upon marvelous layer of fashion, hugging cups of warm tea, decorating for the holidays. It's a time of transformation on so many levels and I adore it. More fabulous improvements are in the works, as are my REALLY exciting annual holiday gift guides. These are always a big hit and this year I have a few fun shopping tricks up my sleeve. I am VERY eager to share them with you! Stay tuned, lovely friends! Join my mailing list for behind-the-scenes moments and exclusive content. The initial Draper James love-fest swept the social scene when Reese opened her original Nashville location, but the recently opened Dallas boutique has converted me into a full on brand fan. Greeted at the open door (did I mention it was a high gloss cobalt blue paneled door with bold brass details?) with cheerful staff offering sweet tea, it was instant love. That Mark D. Sikes decor is at once posh (I'm looking at you, brass & gilt details) and openly approachable. Pale wood floors, iconic blue and white wallpaper and plump white twill seating encouraged the "sit down and stay a while" vibe. 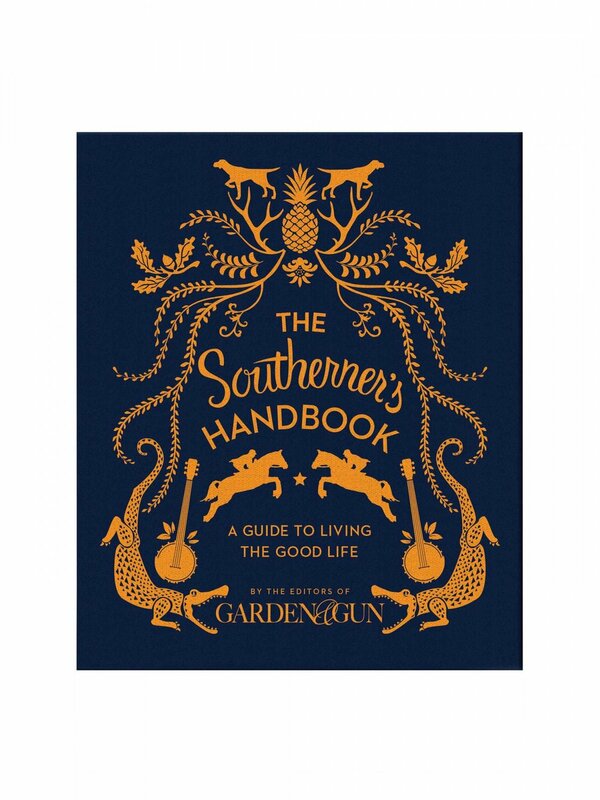 The atmosphere is southern hospitality with more than just a pinch of preppy sophistication. Looks aside, the merchandise is what stole the show for me. Familiar with the oft Instagrammed totes and clutches bearing the sweet southern phrases like Darlin' & Totes Y'All, I was pleasantly impressed by the high quality tailored dresses and accessories on hand. Tasteful floral dresses, classic wool camel coats and just enough tweed to make me pine for a trust fund to call my own. Swoon!. Draper James offers wear it now, love it forever favorites perfect for the modern belle - southern or not. If you haven't experienced the brand's fashion up close, I would liken the quality & style to Tory Burch meets Trina Turk: preppy with a cheeky wink. I am absolutely smitten. Moving on to the housewares, this is the area my fellow Instagram babes adore. Silver mint julep cups, graphic serving trays, gold-rimmed plaid cocoa mugs, and linens embroidered with playful phrases keep the vibe light & playful. It's impossible not to love what Reese has created. And the book selection? I do love a good table stacked with design books and Draper James did not disappoint. Set atop a long blue & gold two-tiered table were enough gorgeous lifestyle books to inspire enviable "shelfies" for weeks to come. So there you have it, friends. Draper James has settled in and invited us in for drinks. I am so incredibly happy to have a Dallas location to visit for hostess gifts, pretty dresses and unexpected little accents. My girls and I absolutely loved our time at the boutique (that sweet tea won my mini-me's over instantly!) and can't wait to go back for more. Thank you, Reese, for bringing southern style & elegant substance to Highland Park Village. It's the happy little knowing wink we all needed! Rain. Coffee. Music. Paintbrushes. Canvas. What could be better? As I dive in to a few creative projects this afternoon, my mind drifts to recent obsessions I've spied (and now crave). Here's what I'm lusting over this fine weekend. I love glancing back at the days behind me just before closing the book on the week. Was it meaningful? Was it fun? What captured my attention? How did I spend my precious hours? By the looks of it, I'm living right and giving my focus to the right people. I hope you're having a fantastic week yourself! Spend your days well... they add up the become your entire life. Celebrate those small moments, as they are actually the important ones! While there are no shortage of monthly subscription boxes available right now, you'd be hard pressed to find a vegan, non-toxic, organic option on the market. Thankfully for those of us striving to live anon-toxic lifestyle, entrepreneurs Justine & Katie decided to enter the market with Love Goodly. Unlike competitors, their curated boxes feature a healthy mix of beauty, home and food full-sized products that are not only luxurious to experience but good for you and the environment. Find something you love? Order it again from their online shop and make it part of your daily routine. Using a system of twelve 'eco' labels including cruelty-free, non-GMO and made in the USA, the girls have made it easy to shop from their variety of goods depending upon what attributes are important to you. In my box I received glam red nail polish from LVX (minus the fearsome 5 toxins), the yummiest oatmeal ever (more on that in a moment), a beautiful hand-woven charm bracelet, a dreamy soy-way candle and a handcrafted bar of mint & basil soap. Not only did my package smell delicious, we've found ourselves repurchasing the oatmeal again and again. The opportunity to experience a full-size version of the product truly made a difference. What struck me as thoughtful is that inside my chosen box was something to nourish the body, something to wear to feel beautiful, something to add to my beauty routine, something to create a pleasant fragrance in the home and something to make the mundane take of handwashing more exciting. As you might expect from a company with such heart, a percentage of all earnings from Love Goodly go towards some of the causes they are passionate about. The curated mix really is a labor of love and I'm already looking forward to receiving another shipment. Visit Love Goodly to discover what Katie & Justine are offering that could make your life (and someone else's) considerably more happy and healthy. When signing up use code LOVEFRANKI for $5 off any bi-monthly subscription. Enjoy! Is chocolate more your vibe? I'm with you, sister. Macarons are divine to gaze at, but if I'm going for sweets (which I seldom do) you can bet it will be of the rich and dark variety. For this joyous moment, we request the dreamy creations of La Maison du Chocolat, the famed Parisian chocolatier. And yes, they too make a fine macaron for those of you with a penchant for the sweet. Lucky you... Williams-Sonoma saves you the business class fare and delivers these fine creations to your door with just a few fast clicks. And they are not kidding around, WS offers 15 different options for your exploration (and possible addiction). Which way to do you lean? To light and fruity or dark and lovely? And... will you be working it off in your trainers or on the yoga mat this week? Do tell! Classic Glamour. I love timeless silhouettes and styles with an emphasis on glamorous fabrics and finishes. 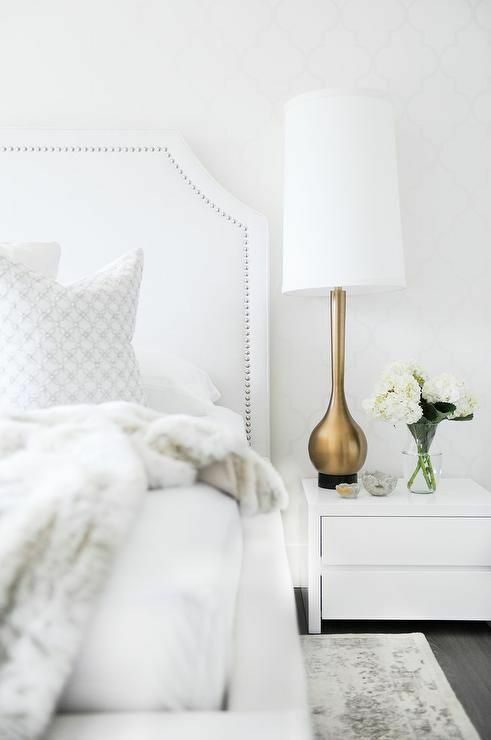 Think: cream upholstered headboards with demilune bedside tables and brass pulls. Quiet sophistication that will look great for years to come. While I favor texture over pattern and largely eschew bold colors, I've been known to add a wildcard fabric into the mix sometimes. Recently I added tow French Bergeres to the bedroom in Mary McDonald's Bargello in Blush Conch for Schumacher fabric. Crazy, but it works. Classic doesn't have to be boring! What’s the most prized possession in your bedroom? My family! I'm a very proud mommy to two remarkable little girls. Cuddling is our specialty! For all the pretty things in my home, these happy little creatures are by far my most cherished possessions. Our bedroom has changed significantly over the years. We've gone from queen to king (no turning back now, baby!). We've added a reading nook (perfect for quality time spent with the girls or simply unwinding) and in recent years I've begun taking quality bedding very seriously. Great sleep is essential to a life well spent, so I prioritize investing in the best. Especially with children in my life, mommy needs her beauty sleep and she takes it very seriously! How do you use your bedroom? The bedroom is Life HQ for the Durbins. We truly maximize use of this room. It is our favorite reading spot, our movie theater and - of course - where mommy and daddy get our best sleep. I'm often found playing games on the floor with the girls during the day or perched up on the bed typing out a blog post in the evenings. We truly make use of this room for all facets of our lives, and therefore it feels most like "home" to me. How do you fall asleep – reading, digital devices, TV? I love to read Flipboard on my iPhone. It aggregates news, design stories, blog posts, Facebook updates and product innovations all in one sleek app. I LOVE it and find it the perfect way to end my day. When was the last time you bought a new mattress? This is year four of our new mattress set. I really feel they should be switched out periodically to keep them fresh and at their best. What’s your mattress preference? Firm, soft or somewhere in between? If they sold "big puffy white clouds" to sleep on, I'd be first in line to place my order. I love them big, soft and a mile high. Pillowtop is a must, and I opt for the plushest option available on the market. It helps me sleep beautifully. Are you a back, stomach or side sleeper? The answer is yes. I am all of these things. I'd say mostly side. Right away! I'm a big believer in a perfectly made bed with fresh sheets, fluffed up down comforters and plumped pillows. I'm a stickler about making the bed right away, and I'm an early riser. You will not find me with a messy bed. 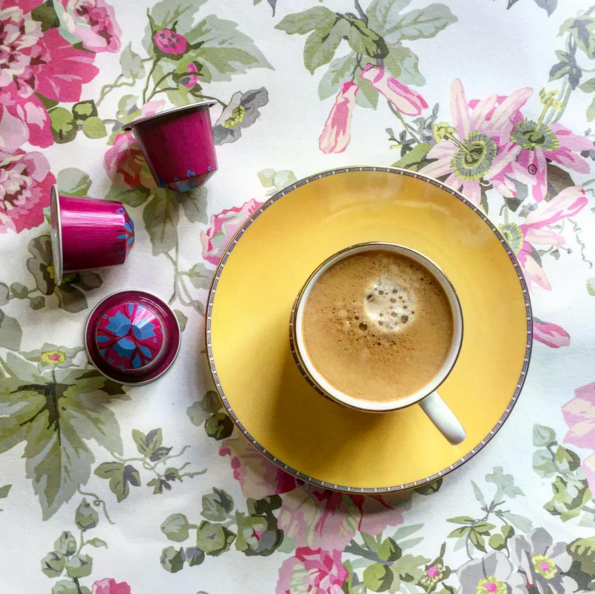 Start the day with an espresso, a prayer of gratitude, a great workout and a beautifully made bed - my early morning essentials!